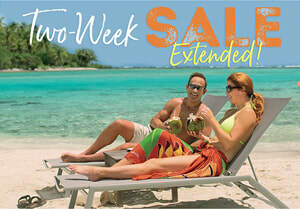 Two Week Sale on Paul Gauguin051918 - Fugazi Travel Agency Inc.
You’ve been waiting, and finally it has arrived, SPRING! Let’s celebrate with up to $3,200 per person off select sailings. 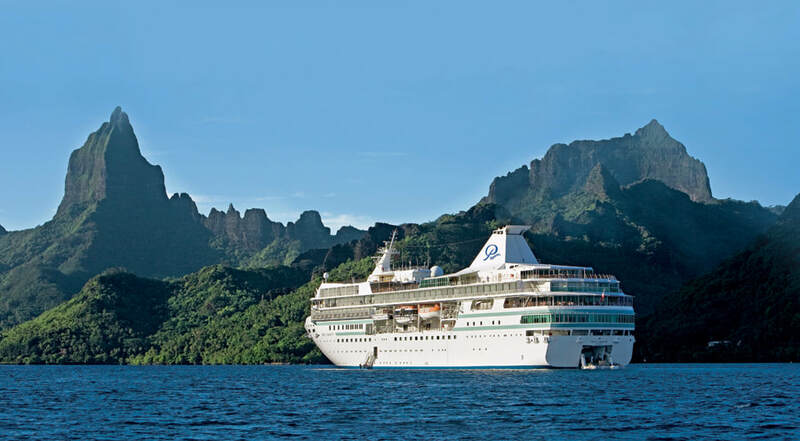 Space aboard the deluxe m/s Paul Gauguin is limited, so don’t wait to book. This offer is only good through May 19, 2018. We are ready and waiting to show you paradise. Save up to $3,200 per person—now that’s a lot of sand dollars! Book by May 19,2018, to take advantage of this special offer! All fares are in US dollars, per person, based on double occupancy and reflect promotional savings, are for new bookings only, are subject to availability, and must be booked by May 19, 2018. Offer may be combined with applicable 3rd guest in stateroom offer but may not be combinable with other offers. Port, security, and handling charges of $139-$195 per person are additional. Additional terms and conditions may apply. Call for details. Ship's registry: Bahamas. From Travel+Leisure Magazine, August 2017 ©2017 Time Inc. Affluent Media. Used under license. Travel + Leisure and Time Inc. Affluent Media are not affiliated with, and do not endorse products or services of Paul Gauguin Cruises.